New data from Kantar has revealed that the UK is the third biggest market for grocery ecommerce. More surprising, however, is that the US in down in tenth place. Will Amazon Pantry and Fresh succeed in 2016? Despite high market penetration relative to other countries, the UK still seems like it hasn’t got its head around online groceries. That’s why 2016 will be so interesting, as Amazon continues to finesse its Pantry offering in the UK, which rolled out in November 2015. Will online groceries ever become less the domain of poor mobile experiences, inflexible delivery and locker trials, and more a fast and regular supplement to local shopping at smaller shops? I’ve rounded up some analysis of what might happen in 2016. Despite the increase in online grocery sales over the past few years ecommerce still only accounts for a fraction of the overall market. This means there’s huge growth potential for digital sales in this industry, but are the UK’s major grocery retailers positioned to take advantage of it? Click-and-collect is now a must-have delivery option for online retailers as consumers expect to be able to pick up their purchases at a time that is convenient to them. 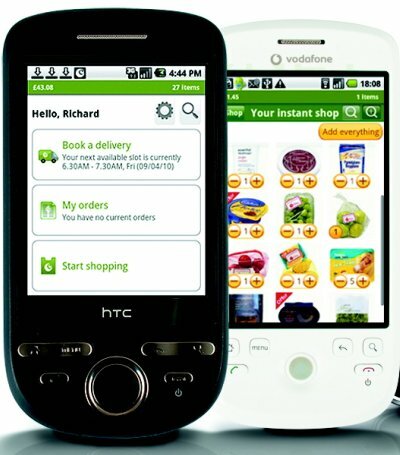 In 2013 around 70m deliveries were made through click-and-collect, a figure that’s expected to grow to around 82m by 2018. In recent weeks UK retailers have been pushing ahead with new initiatives aimed at giving customers even more choice when it comes to collecting their purchases. Here’s a round up of several businesses that are aiming to increase profits using click-and-collect. Ecommerce accounts for around 5% of all grocery shopping in the UK and is set to be worth around £7.5bn this year. That figure is predicted to grow to just over £11bn by 2016, so it’s certainly a market that’s worthy of attention. I only recently made my first online grocery order and wasn’t particularly enamoured with the user experience, so thought I’d trial the checkouts of the three big supermarkets – Sainsbury’s, Tesco and Asda – plus online-only retailer Ocado.